The bishop anoints one’s head with perfumed oil (chrism) and prays, “Be sealed with the gift of the Holy Spirit.” The person confirmed is strengthened by a deeper outpouring of the Holy Spirit and is equipped with the spiritual gifts necessary to live a life of Gospel faith and charity. God calls the person confirmed to be a missionary witness of Jesus Christ in their families, neighborhoods, society, and the world. In the New Testament, Jesus breathes his Holy Spirit upon the Apostles after the Resurrection, and on the Feast of Pentecost the Holy Spirit comes upon the Apostles and Mary in the form of fire. In the first days of the Church, the Apostles baptized and then bestowed the Holy Spirit by a laying on of hands. Confirmation, like Baptism, imprints a spiritual mark on the soul, deepening the Christian’s baptismal life. The Confirmation program for adolescents takes place during 8th and 9th grades. Our program includes two week-long summer sessions (one week during the summer before 8th grade and one before 9th grade). Also, the students and their families attend three special classes during the school year. 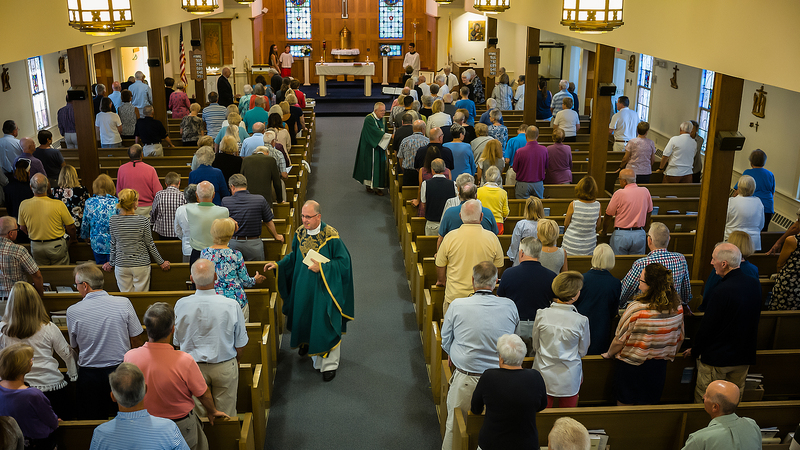 Confirmation preparation for baptized Catholic adults is offered by the Faith Formation Office of the Diocese of Fall River in both spring and autumn. Please contact the Parish Office (508-945-0677).